Zaha Hadid Architects are working with us to design an exciting new cultural quarter close to Bournemouth’s world renowned seafront. The site, at Bath Road North and South, is one of the most prominent and strategic locations in the town. It sits next to the Lower Gardens and listed Pavilion Theatre with views across Bournemouth Bay to the Purbecks and Old Harry Rocks. We want the successful project to enhance the operations and visitor experience at the Pavilion, draw more people along Westover Road and open up further views across Bournemouth’s most prized natural assets, its beaches and gardens. 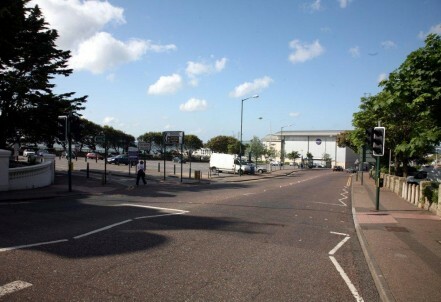 Significant public realm investment is envisaged, linking the quarter to the seafront, town centre and forthcoming Winter Gardens development via a Grand Garden Walk. There will also be public car parking of around 400 spaces. Zaha Hadid won an international competition we publicised in 2016 through industry ‘bible’ the Architects’ Journal designed to canvass ideas for a mix of cultural attractions including a new theatre, gallery and restaurants. We are now in the process of discussing initial proposals with stakeholders before public consultation and potential planning application.